Organize those rolled materials with IAC Roll Storage Stands. Both the floor standing and tabletop models hold rolls up to 8" less than unit width. Use for foam or bubble wrap, wrapping paper, plastic sheeting, mailing and shipping labels. 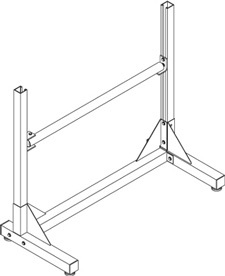 Make the floor model mobile with the addition of the 4-inch caster retrofit option. 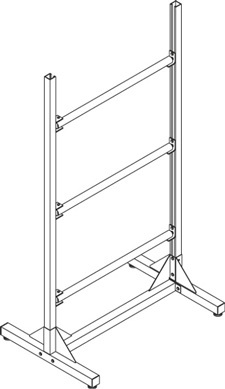 Standard Widths: 38", 50", 62"
Standard Heights: 72" or 30"